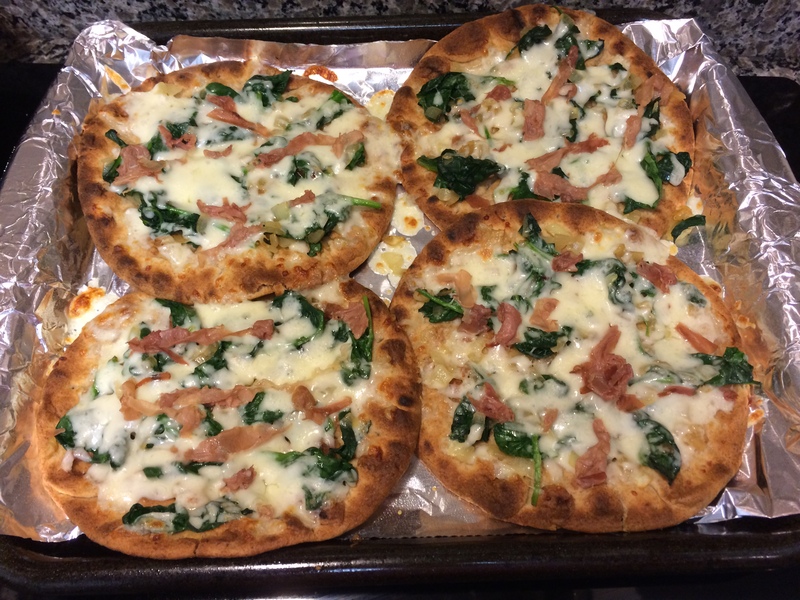 Spinach and Proscuitto Flatbreads, #CookingLightDiet Style! A great one to do on a school night. Quick, easy, and scrumptious. Saute onions and spinach, place on top of toasted flatbreads…top with mozzarella and proscuitto, broil, and savor the salty, sweet, crunchy, creamy goodness. 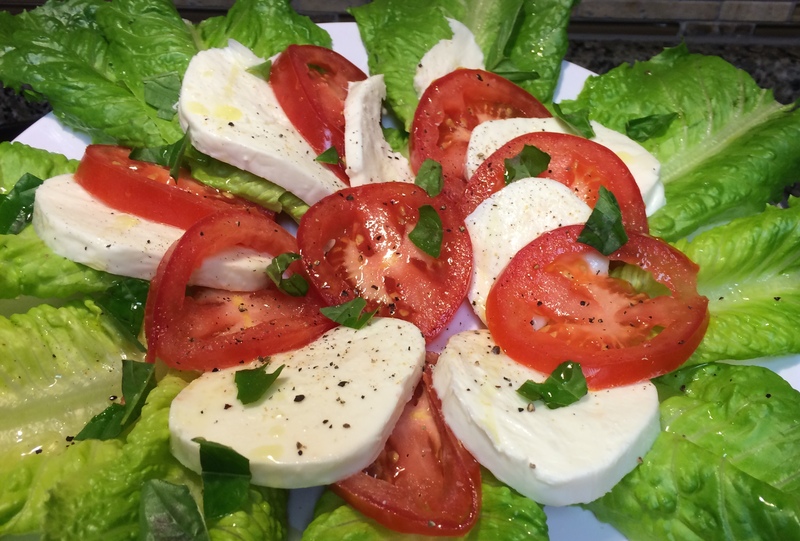 I added a side of a Caprese-inspired salad. My friend Kathy gave me her recipe and I added some romaine leaves so the kids would consider it a legit salad. Pretty, yummy, and a good use of my basil that continues to go nuts. Enjoy the Spinach and Proscuitto Flatbreads recipe here!